Some of the most unique colours and textures for plants are found on those that do not flower or the plant may flower, but the foliage is more interesting than the bloom. 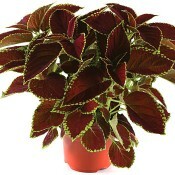 Coleus has been available in a great assortment of colours such as plum, burgundy, chartreuse, gold, lime, copper, and wine. 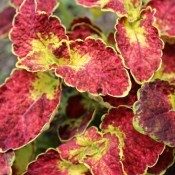 It is an outstanding colour and structure plant with bold eye-catching patterned foliage. 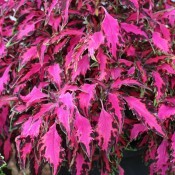 The colourful foliage creates a dramatic display when several varieties are grouped together in a single container or group of containers. 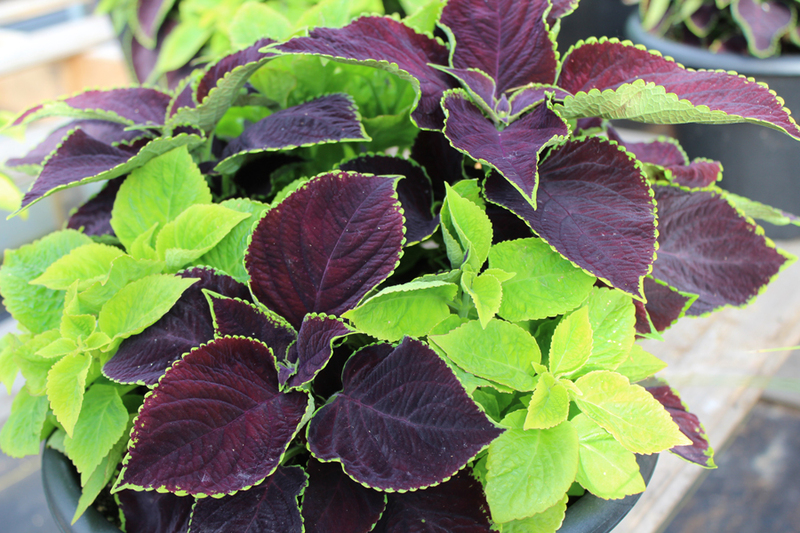 Coleus makes an excellent accent plant in mixed containers, window boxes, and patio planters with other annuals or perennials. It also makes a great addition to borders and can be used in mass plantings. When flower buds develop, it is best to pinch them off because the plants tend to stretch out and become less attractive after they flower. Low maintenance and tolerates partial shade. 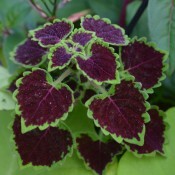 Sunny Sarah Coleus provides an excellent mixture of colour and texture with its beautiful dark maroon and golden green foliage. Tolerates sun to part shade. Great in combination planters and beds. 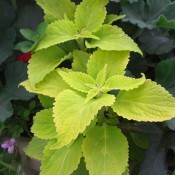 Sunny Coleus provides an excellent mixture of colour and texture with its beautiful lime green foliage and blue flowers. Great in combination borders, planters and window boxes.